One key to running a successful business is to know your audience and give them content they want to engage with. There are quite a few holidays coming up to celebrate business owners and the world of entreprenuership that we think every WorkParty starter needs to know about. Keep reading and mark your calendars ahead of time for these fun social holidays! #NationalEntrepreneursDay started in 2010 as way to celebrate and thank entrepreneurs for all the hard work they do day in and day out. Use this day to thank a mentor, or maybe be a mentor to a young entrepreneur trying to get their business off the ground! #SmallBusinessSaturday is a shopping holiday held on the Saturday after Thanksgiving during one of the busiest shopping periods of the year. Set up some Facebook ads to attract your local customers and let them know you are the biz they can support for Small Business Saturday. Did you know the term #CyberMonday was coined by a woman? Ellen Davis, to be exact. Another way to promote your products or services during the holiday gifting season is to run some Cyber Monday deals and have your online shop ready to go on November 26th. Get your email blasts and promo codes ready now for your online audience. #GivingTuesday is a global day dedicated to giving back. On the Tuesday after Thanksgiving charities, families, businesses, community centers, and students around the world will come together for one common purpose: to celebrate generosity and to give. 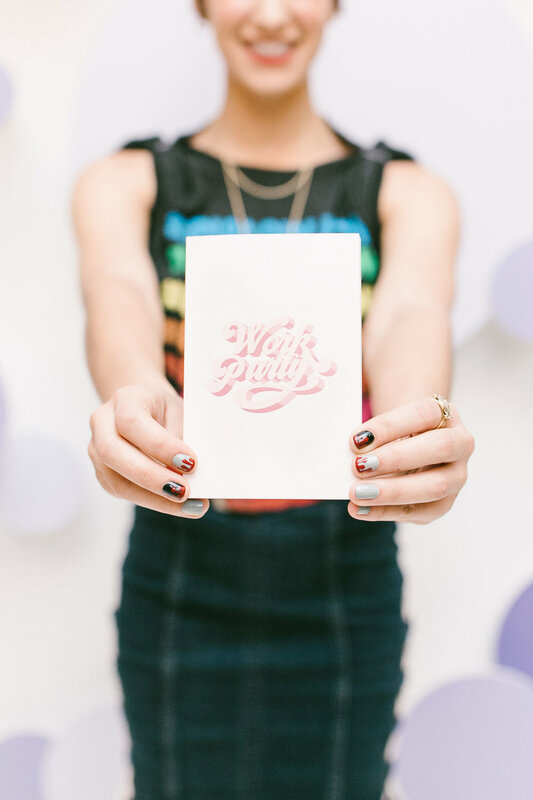 We’ll be celebrating all month on Instagram @workparty.